Cyrus One amplifier to return at "most affordable price ever" | What Hi-Fi? 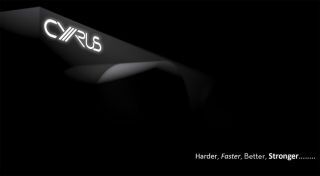 Cyrus One amplifier to return at "most affordable price ever"
Cyrus will be releasing a new, feature-packed Cyrus One amplifier at May's High End Show in Munich. The Cyrus One will deliver 2 x 100-watts of power and features Class D amplification. There's an AB headphone amplifier, a MM phono stage, four line level inputs and a set of pre-outs. The new One aims to celebrate more than 33 years of Cyrus products, taking design cues from the original but bringing it bang up to date when it comes to the specifiactions. And, interestingly, it looks like it will be the most affordable Cyrus amplifier yet, presumably coming in under the £699 Cyrus 6a. The original Cyrus One/1 was released in 1984, a year after the formation of Cyrus Audio, and, alongside the Cyrus Two, was the first product the company released.